Yes, everybody loves holiday! This is not just the perfect time to unwind from the stressful work and school but this is also the perfect time to pause for a while and enjoy the free time of leisure and relaxation. You would want to grab yourself a holiday treat, right? If you haven’t thought of a destination yet, perhaps we could make a suggestion. European countries are suitable during these times; and to be more specific, perhaps you’d like to go to Montpellier for a place to go to. When you get to come here, you will not just enjoy the beauty of the place but you will also have the chance to learn French in this city! Wouldn’t this be a great opportunity? Speaking of Montpellier, not everybody gets to have this as a choice since people will really prefer going to Paris instead of this place. Yet, if you will only know the richness of this city and how it can help you with your French learning sidelines, you will not hesitate to come to this place! Known as the capital of the Languedoc-Roussillon region, Montpellier is located in one of the sunniest regions of France at the Mediterranean Sea. It has been well-known to be the home of the best known universities in France, especially their foreign language schools. 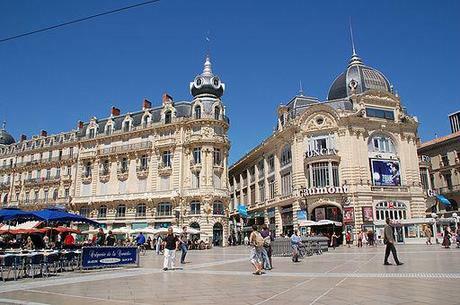 Most of the students who are studying here really go to Montpellier’s prominent schools. It is honestly a very lively city. Though it is not as famous as other cities in France, it’s still identified as one of the liveliest cities. Your holiday getaway will definitely be maximized when you get to come here! The language school located in Montpellier is also very welcoming. You have lots of courses to choose from. Since the time you will be learning French is during holiday, it would be best to choose light-weighed courses that suits during the occasion. A conversational course on French language would do a lot, isn’t it? So if you really want to spend your holiday moments to be more productive while enjoying the beautiful place at the same time, take the opportunity in learning in holidays and learn the beautiful French language! Make inquiries for more details.